Although this beautiful story is an allegory, real-life people in other countries have produced similar effects. Abdul Karim in India created a forest out of nothing over a period of 19 years, using the same method as Bouffier. An organization called Trees for the Future has assisted more than 170,000 families, in 6,800 villages of Asia, Africa, and the Americas, to plant over 35 million trees. Wangari Maathai, 2004 Nobel Peace Prize recipient, founded the Green Belt Movement (see below) which planted over 47 million trees to restore the Kenyan environment. Shanghai Roots & Shoots, a division of the Jane Goodall Institute launched The Million Tree Project in Kulun Qi, Inner Mongolia to plant one million trees to stop desertification and alleviate global warming. The character of Bouffier has some similarity to the legendary early 19th century American tree planter Johnny Appleseed. Another tireless promoter of tree-planting is Marthinus Daneel, Ph.D., Professor of African studies at Boston University and founder of ZIRRCON (Zimbabwean Institute of Religious Research and Ecological Conservation). Daneel has worked with churches for years planting millions of trees in Zimbabwe. Due to instability in Zimbabwe in recent years, such efforts have been significantly curtailed. Similarly, concerned about global warming, Bhausaheb Thorat planted 45 million seeds after being inspired by the book. For this he started the Dandakaranya Abhiyaan in June 2006 at Sangamner, Maharashtra, India (Sangamner is on Pune-Nasik highway). UNEP has taken notice of this campaign in its A Billion Tree Campaign in which almost 45 million seedlings have been planted. Harmony magazine Tina Anil Ambani has an article on Bhausaheb Thorat's global warming awareness efforts and his Dandakaranya Abhiyaan in the December 2008 edition. The Baobab trees (also known as an upside down bottles or monkey bread trees) are believed to be the largest succulents in the world as well as some of the tallest trees. There are several different species that vary somewhat in appearance, but all are deciduous, flowering trees that can live for hundreds and even thousands of years. 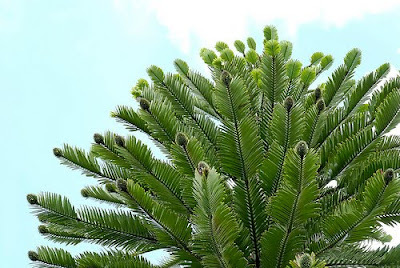 They are slow-growing trees that are indigenous to Madagascar, Africa and Australia. 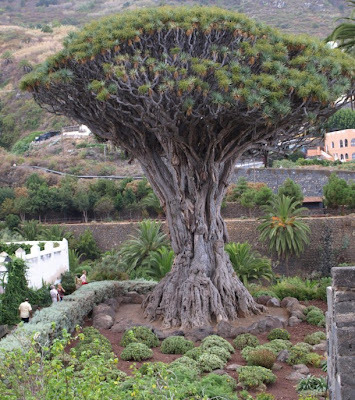 They can grow up to 70 feet tall and feature an over-sized, extremely wide caudex that the plant utilizes for water storage during the dry season. 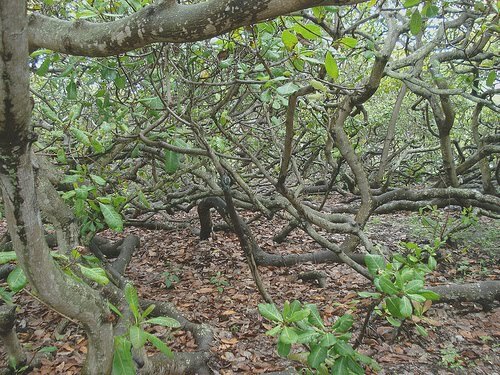 The bark is brown and gray and typically smooth, though it can crack and bend as the tree ages. Leaves are elongated and appear in clusters of up to seven leaflets. During the winter the plant sheds its leaves only to grow them again in the springtime and summer. What is the Green Belt Movement? The Green Belt Movement is one of the most prominent women’s civil society organizations, based in Kenya, advocating for human rights and supporting good governance and peaceful democratic change through the protection of the environment. Its mission is to empower communities worldwide to protect the environment and to promote good governance and cultures of peace. Started by Dr Wangari Maathai << see her tribute page. on people power, consciously designing the future.. Trees are important components of the natural landscape and a wonderful living organism which gives shelter, food, warmth and protection to all living things. 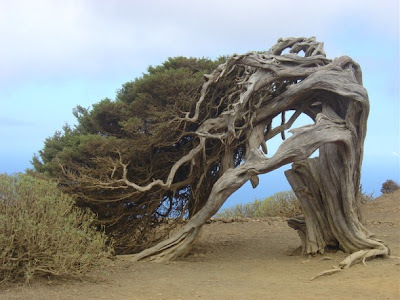 Though common trees are fascinating immensely but there are some of the more unusual and amazing tree specimens found in the world which is weird and spectacular, yet people are hardly aware of their mysterious properties, strange sizes or unusual shapes. Here are some which top the list of being the strangest trees found on the planet. It’s a treat to the eye! 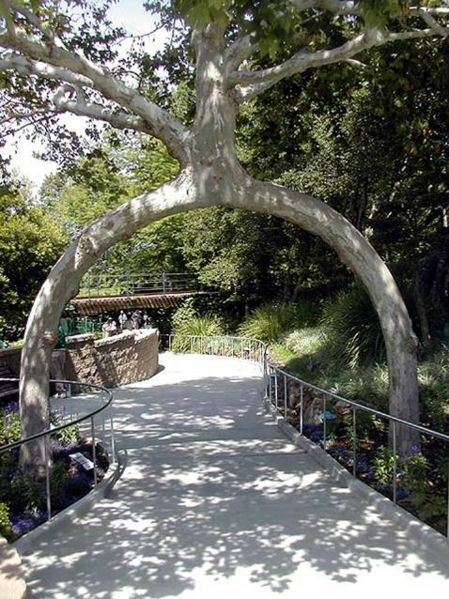 Axel Erlandson’s passion for sculpting trees, also known as arborsculpture, led him to open a horticulture attraction in 1947 near Santa Cruz, California named The Circus Tree and people flocked in from all over the country to view his strange and striking creations which are nothing short of breathtaking! Using a special set of skills, Erlandson started to sculpt things out of living, growing trees. One such tree is the famous “Basket Tree”. 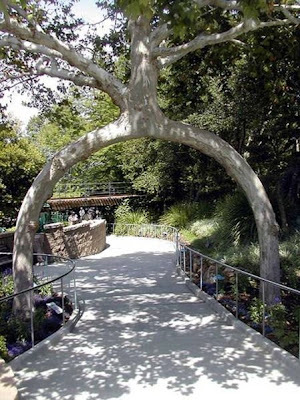 which is actually six Sycamores grafted together in 42 different connections to give it its basket shape. It’s the largest cashew tree in the world and more like a root and bush than a tree covering a span of 8,500 square meters alone! This tree is probably 300 feet by 300 feet in total. It looks like a forest and a bears 8000 fruit in a year .This picture doesn’t do it justice but should give you an idea of the enormity. The Tree of Life in Bahrain is one of the mysteries of world which is bound to be in the list of most unusual trees aroung the globe! 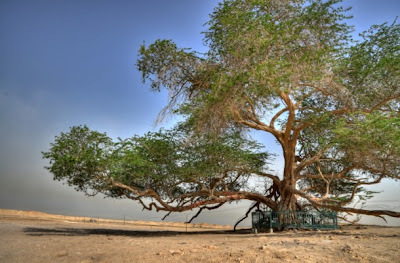 This four century old mesquite tree survives in the midst of desert without availability of water. The mystery of the survival of the tree has made it a legend and the name “tree of life” is absolutely appropriate for the tree, truly representing the magic of life. A legend is also attached to the site where the tree is located. The local inhabitants believe with heart and soul that this was the actual location of the Garden of Eden. 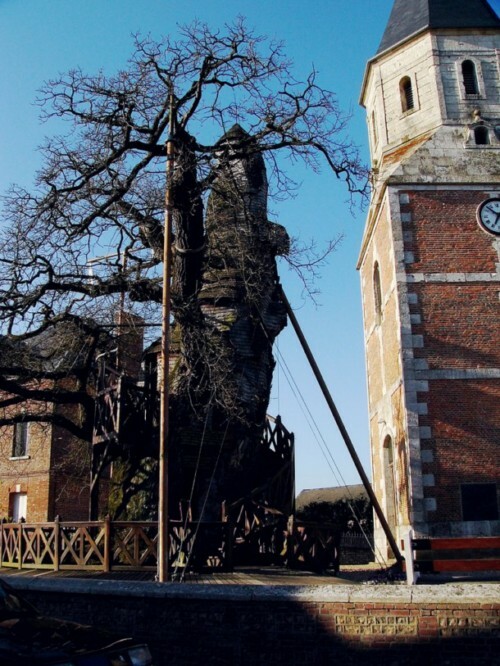 Next is the Chapel Tree one of the most famous trees in France – actually, it’s more than just a tree: it’s a building and a religious monument all in one. In 1669, l’Abbe du Detroit and du Cerceau decided to build a chapel in (at that time) a 500 years old or so oak tree made hollow by a lightning bolt. Now, parts of the tree are dead, the crown keeps becoming smaller and smaller every year, and parts of the tree’s bark, which fell off due to old age, are covered by protective oak shingles. 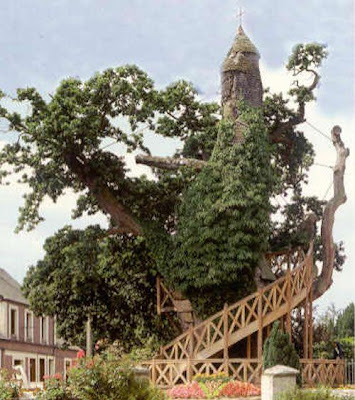 As a symbol, however, it seems that the Chapel-Oak of Allouville-Bellefosse may live on forever. 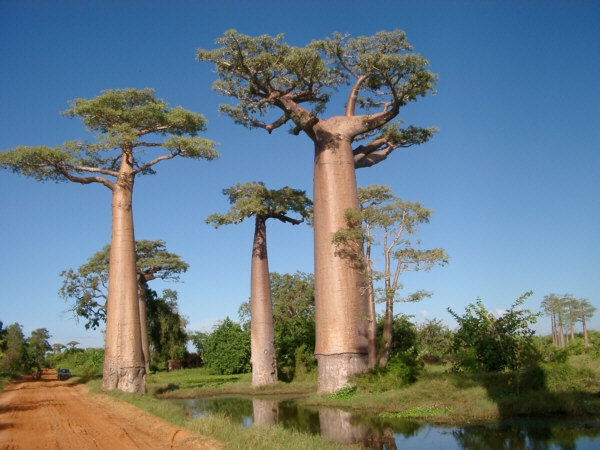 Baobabs, with their distinctive shape, are one of the most charismatic group of trees in the world. This particular specimen, located in Madagascar, is referred to as the ‘Teapot Baobab’. These trees remain leafless for most part of the year, and their thick, bloated, fire-resistant trunks store water during the dry months. 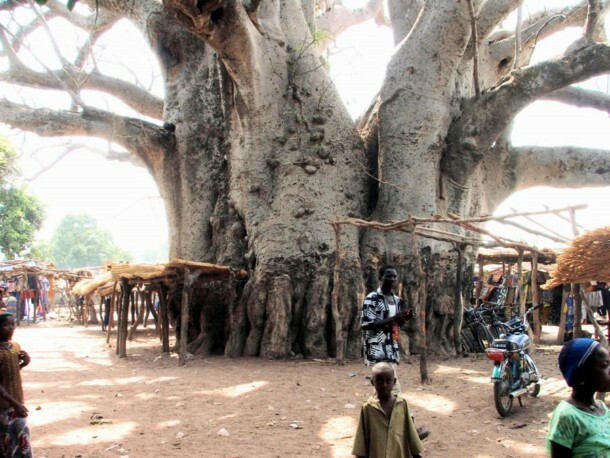 One would be surprised to find that some baobab trunks are so large that people actually reside inside them! General Sherman is about 2500years old tree with a height of 275 feet (83.8 metres), located in the Giant Forest of Sequoia National Park in the United States. In January 2006 the largest branch on the tree broke off. 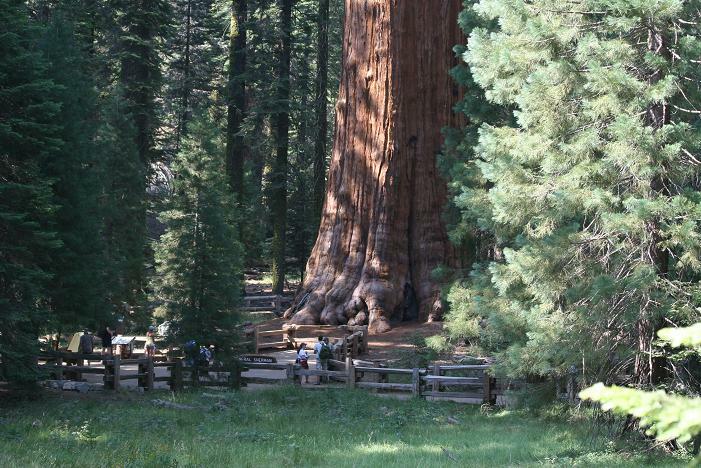 The breakage, however, could not change the General Sherman’s status as the largest tree! This stunning tree has the base of its trunk measuring about 102 feet in circumference. Witnesses to this spectacular creation of nature can only justify its stature! 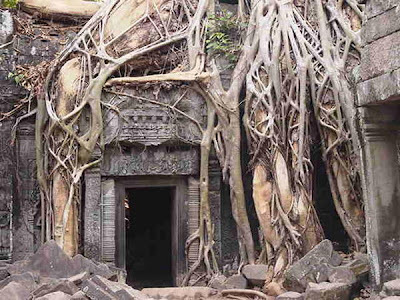 Ta Prohm Temple or the Jungle Temple which is located in the Angkor Thom complex has trees growing here in the most astounding way. Words cannot describe it until you set foot there and see it for yourself. Apparently, the place was left as is over the hundreds of years and the outcome is amazing from what you see now in the place which is also called Angkor Archaeological Park. On every side, in fantastic over-scale, the trunks of the silk-cotton trees soar skywards under a shadowy green canopy, their long spreading skirts trailing the ground and their endless roots coiling more like reptiles than plants. 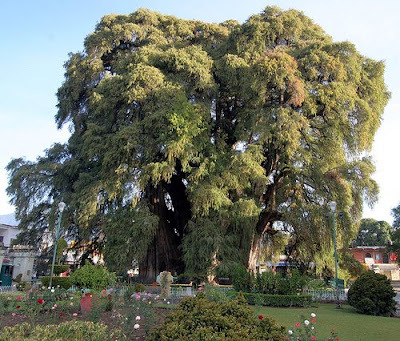 Mexico’s most famous tree, the ginormous Tule Tree (Arbol del Tule) grows near Oaxaca City. It may not be the largest or the oldest tree in the world, but it has no contenders for widest girth award which is abround 164 feet in circumference.It’s best not to look at the tree as a single icon. 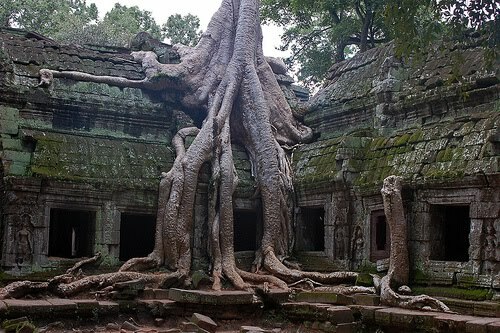 Indeed there is a family of ancient trees. 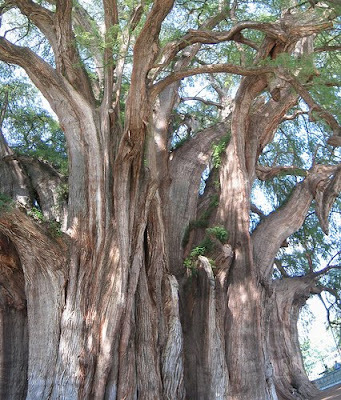 Rooted in the town of Santa María del Tule, the Tule Tree and its environs comprise a unique natural monument. The Dragon Tree is found at de los Vinos in Tenerife, one of the Canary Islands, and is said to be between 650 and 1,500 years old. This specimen inherited this name from mythical origins: Hercules had to bring back three golden apples from the garden of the Hespérides, which is guarded by Landon, the hundred-headed dragon. Hercules killed Landon and his blood flowed out over the land, which began to sprout ‘dragon’ trees. The tree exudes ‘dragon’s blood’ – a red sap – when cut. 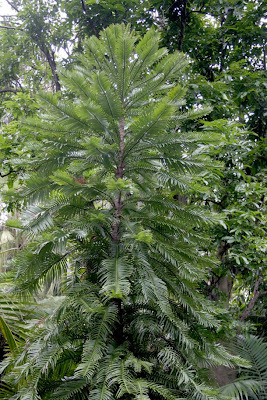 The unique qualities of the Wollemi Pine lie not in its looks but in its history. It is a “living dinosaur”, and was nearly extinct before it was discovered in Sydney, Australia in 1994. 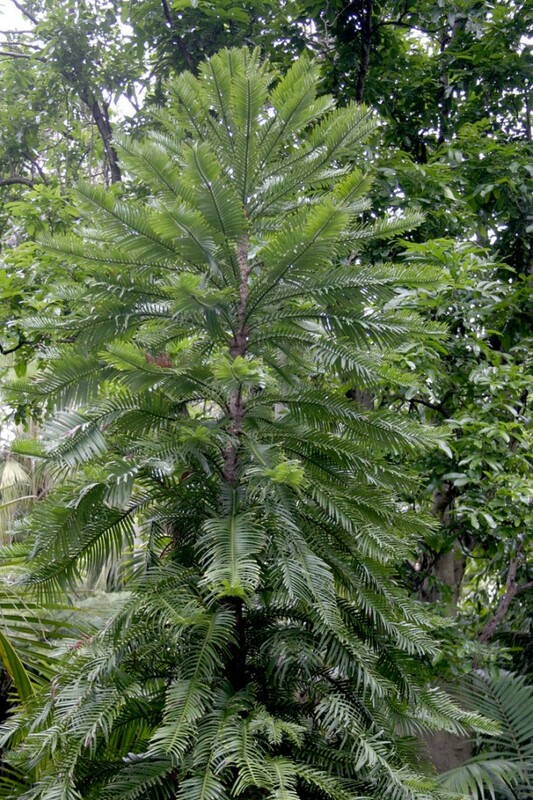 Now called “the crown jewels of the botanical world”, the Wollemi pine had previously been known only from a 120-million-year-old fossil. Very few exist in the wild, but conservation efforts have been made in the recent past. 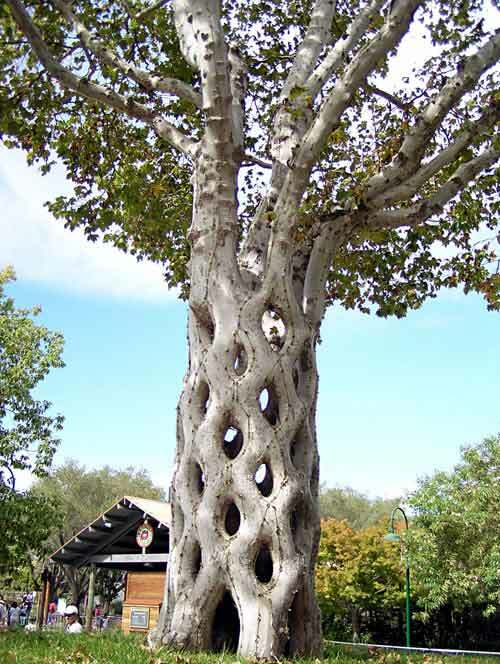 These strange trees have been molded by Mother Nature into species of their own. 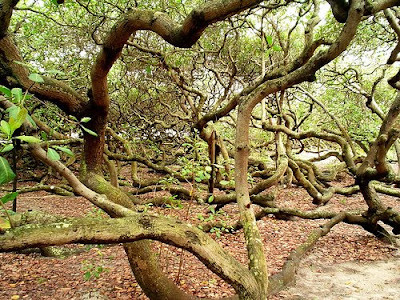 Shocking, downright weird or seemingly beautiful, the trees amassed in this collection will leave you to ponder on wondrous creation the Almighty!